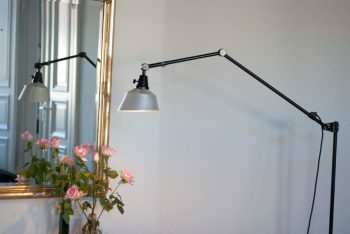 Black hinged lamp Midgardwith aluminium shade on rollable three star base. 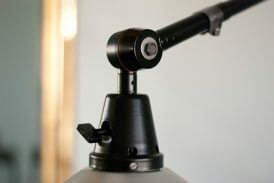 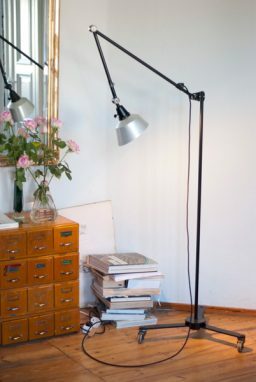 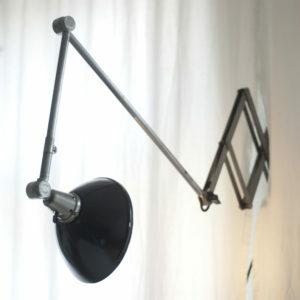 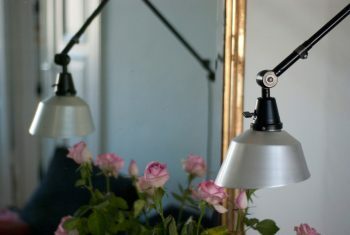 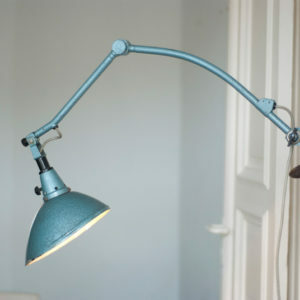 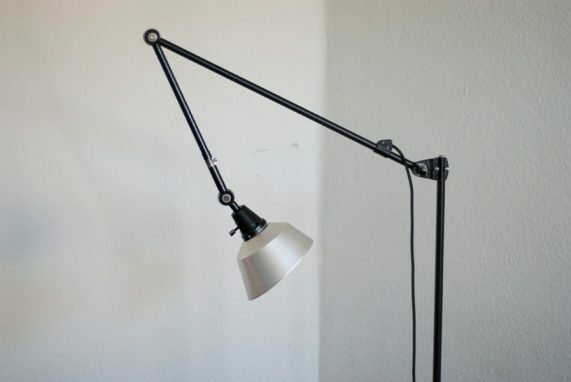 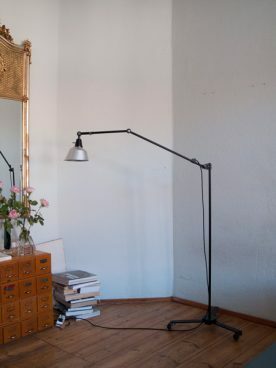 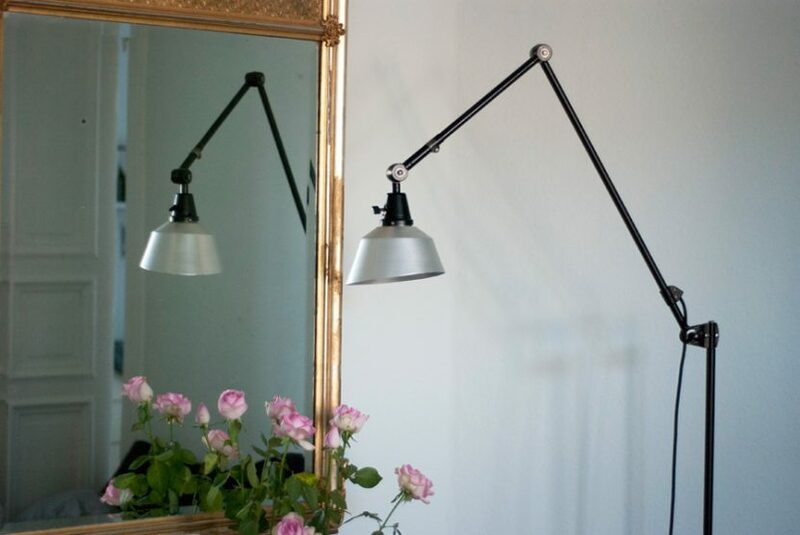 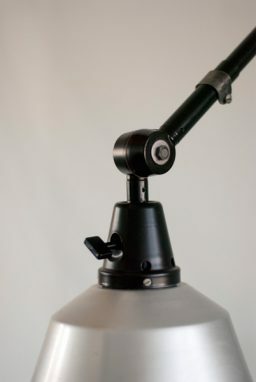 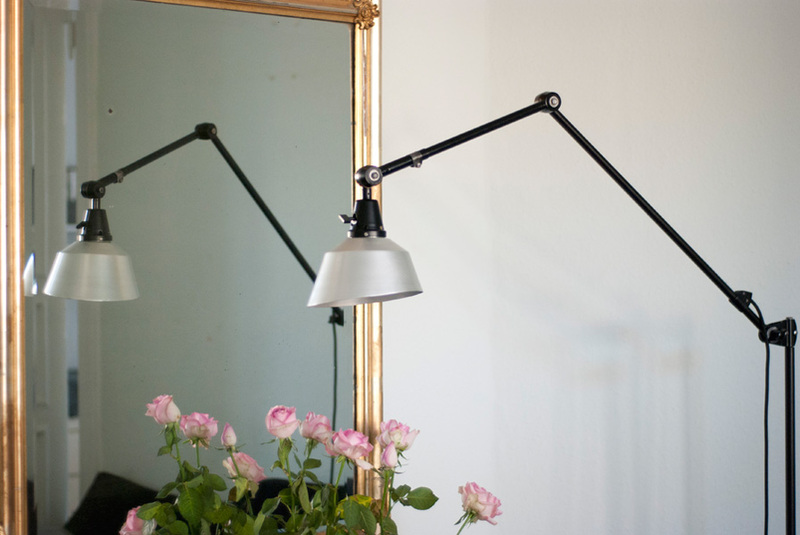 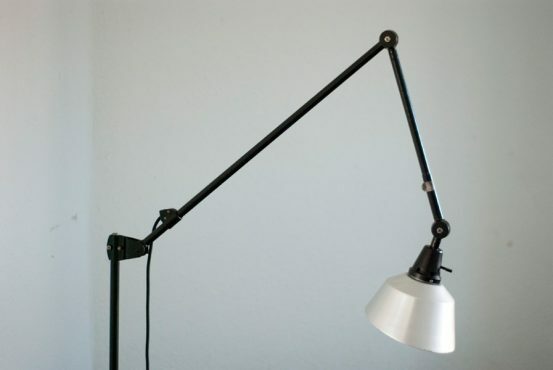 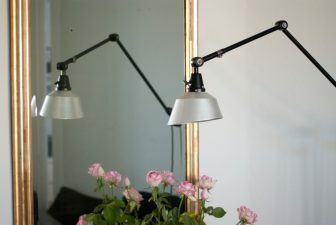 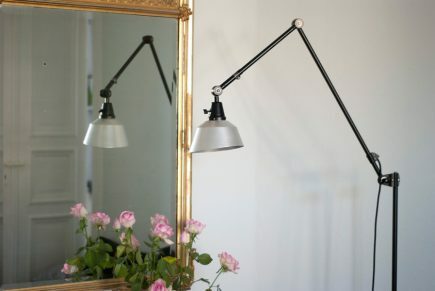 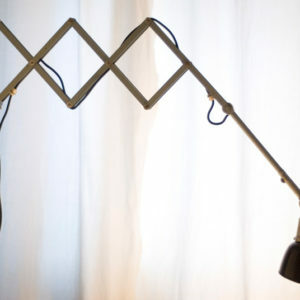 The design of this unique rollable floor lamp from the DDR time with double joint comes from the Curt Fischer, CA 1920 has worked on the idea of “steerable light”. 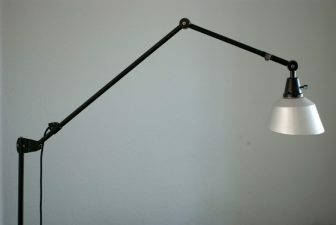 Before the well-known designs by Christian Dell, or Marianne Brandt, Curt Fischer with the all-round mobile workstation lighting implemented the idea of so-called ‘steerable light’. 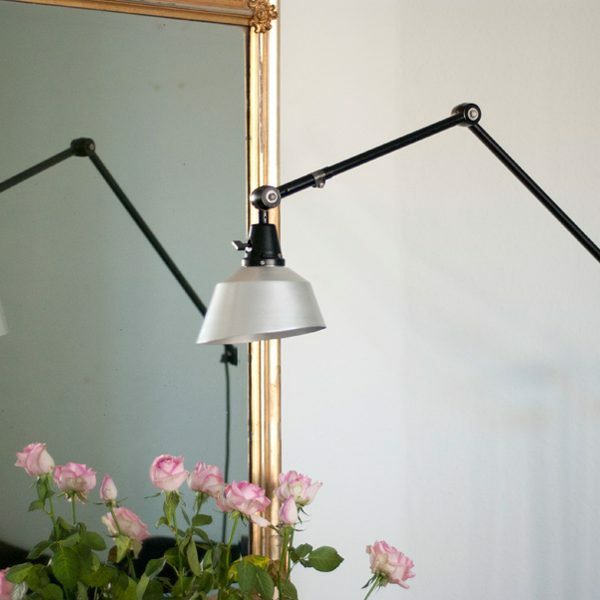 The metal workshop at the Bauhaus in Weimar was lit with Midgard lights and the Bauhaus students and served as inspiration, and is verifiable in the living room furniture by Ilse and Walter Gropius in their house at the Dessau Bauhaus. 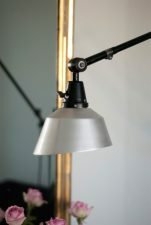 After the complete dismantling and careful cleaning, the elements of the light were newly painted, and rebuilt again. 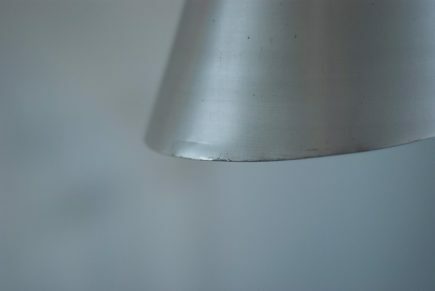 The lamp is used and has marks of time. 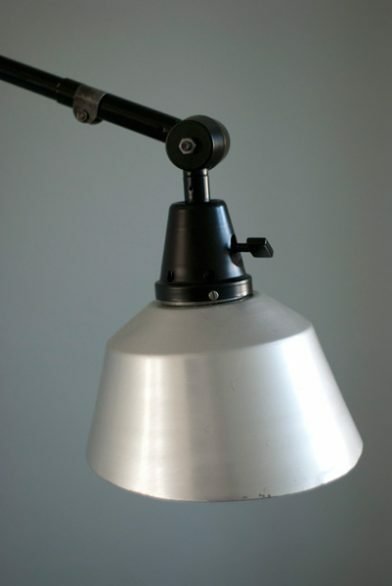 The shade make of aluminium has light dents. 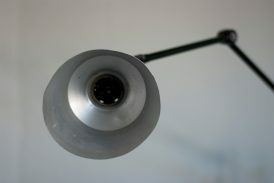 The light is operated by the original rotary switch made of bakelite at the head. 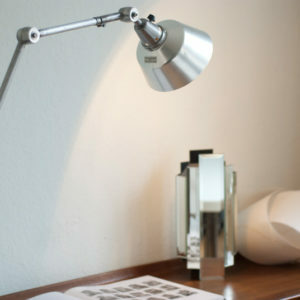 The technology of the light works fine. 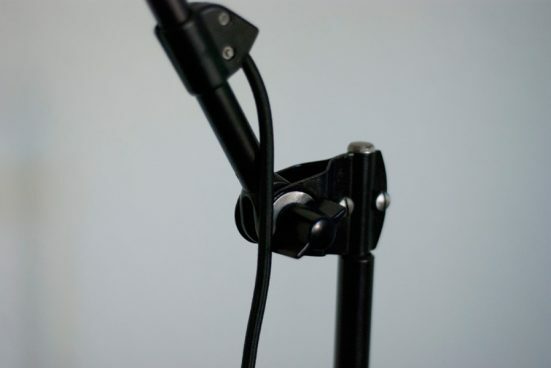 The electrical system has been renewed with a three-wire black cord. 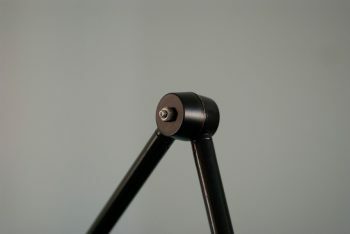 The movable three-star base is painted in black. 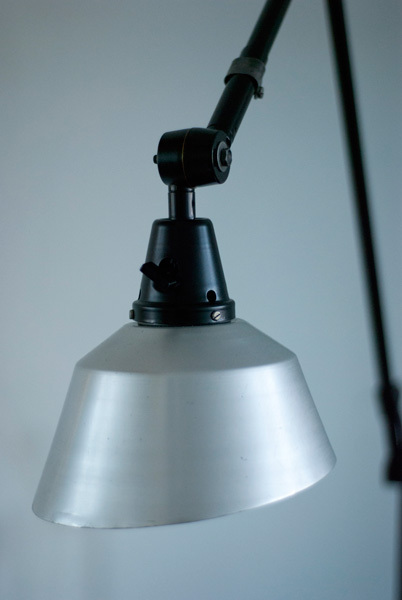 Pick up in our Workshop preferred.